"The cast is top notch. The guy who plays the father is very handsome." Let's get real, fellow Fresh Off The Boat fans: the show is at risk of being canceled. Creatively, Fresh Off The Boat is still one of the joys of prime time television. But after wrapping its unprecedented fourth season last month to middle-of-the-road ratings, the ABC comedy is firmly on "the bubble." Its future is uncertain, and renewal is not guaranteed. So if you want to see another season of your favorite Asian American family comedy, this is the time to raise your voice and let the network know what's up. Who better to lead the charge than the show's star? 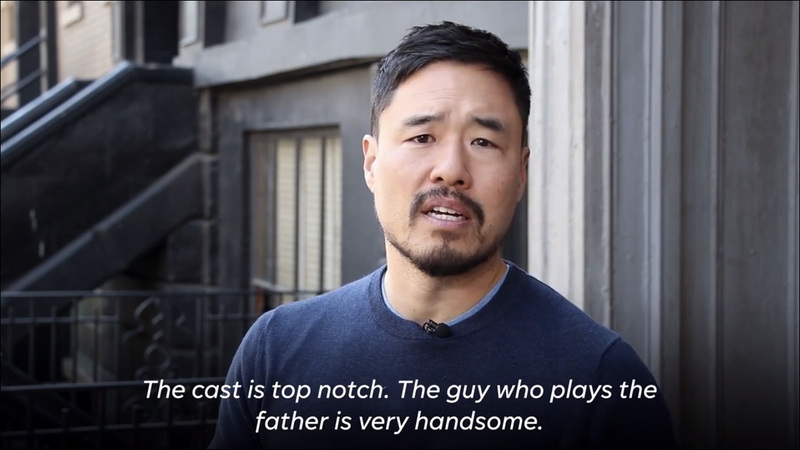 In this video for USA Today's "Save Our Shows 2018" feature, Randall Park, who plays patriarch Louis Huang, makes an impassioned plea, literally getting on his knees and begging ABC to renew his show. He also offers some solid reasons to bring the show back. "The cast is top notch," Park explains. "The guy who plays the father is very handsome. It also happens to be, in my opinion, the best show on network television. Or at least the best show about an Asian American family on network television. Out of all those shows -- there's so many of them -- and ours is definitely the best." I mean, of course, if you put it that way. In all seriousness, every bit of the show's success so far is a gift. "I really think it's a great show and an important show," Park tells USA Today. "In my wildest dreams I'd never imagined that we'd go as far as we did, especially being a show about an Asian American family on network television. It's something I always wanted growing up, and the fact that it happened and I'm a part of it and that we've gone four seasons is remarkable." As usual, the network will weigh the renewal of Fresh Off The Boat against this year's wave of pilots for new series to fill out its 2018-19 prime time slate. We'll hear if the show is coming back when ABC unveils its new schedule to advertisers next month. In the meantime, just for fun, vote for Fresh Off The Boat in USA Today's annual Save Our Shows survey.